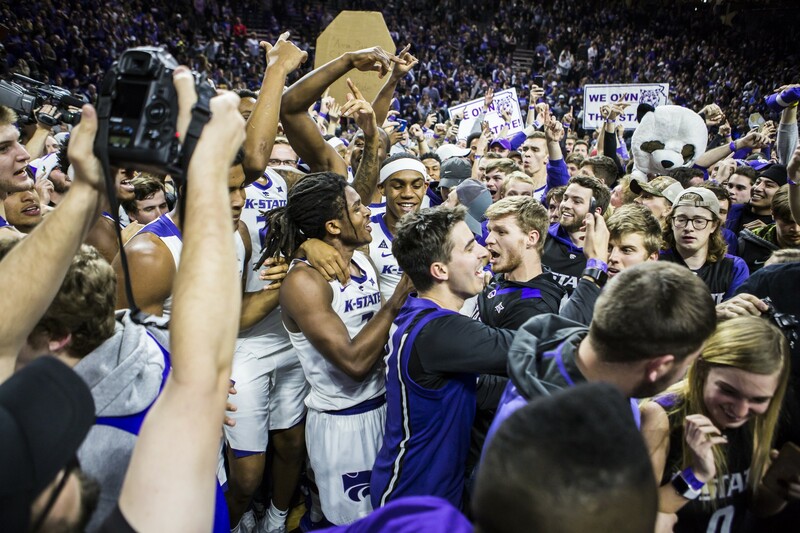 “Our fans came out and did a great job, we have the best fans ever,” senior guard Kamau Stokes said after the Kansas State men’s basketball team beat in-state rival Kansas 74-67 in Bramlage Coliseum on Tuesday night. Some of those fans that Stokes mentioned waited in line for hours in temperatures that got down to 19 degrees to see their team take on the Jayhawks. “It was chilly outside waiting to get in, but the intensity was felt throughout the night,” Ken Wilson, senior in fine arts, said. Once inside, K-State fans were rewarded for their persistence. The Wildcats came out with one of their more impressive wins of the seven-game Big 12 winning-streak. K-State is now 7-1 over their last eight games, the lone loss coming on the road at Texas A&M. At 7-2 in Big 12 play. At time of publication, K-State sits at first place at the midway point of conference play. “I’m especially glad the guys showed up in that game because it made that two-and-a-half hour wait in the cold worth it,” Molly Neyens, junior in sociology, said. The atmosphere that Stokes alluded to did not go unnoticed by fans in the student section either. 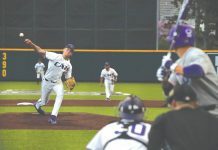 The Wildcats’ win at home marked the end of a four-year losing streak at the hands of in-state rival KU. None of the players on the court had played in a game where K-State had beaten KU. Most students hadn’t experienced it either. For fifth-year senior Wilson, though, K-State beat KU his freshman year. He said that the atmosphere reminded him of that game. K-State will play again on Saturday in Waco, Texas, against Baylor. The game will be televised on ESPN2.